I’ve trained thousands of miners and contractors over the past 10 years during their federally mandated eight-hour annual safety training but, last year, I started the training class differently. I started class by having them vote with an audience response system, as to which learning style suited them best. I had four common learning styles listed in detail and, given the anonymous means of collecting the data, I was pretty sure everyone would answer honestly. This simple ice breaker question, and its results, was used to let folks know that individuals all learn differently, contrary to what some people believe. Four months ago, I received a call to present on training style and retention for the local Associated General Contractors of America (AGC) chapter. In preparation, I gathered all of the data from that single question I asked my miners, and shared that information in my presentation to a group of instructors, illustrating the important notion that their students learn and process information differently. Then, just a month ago, I explained a new safety management structure to 13 supervisors that was being rolled out at their existing company. For years this company ran on the “safety cop” style of compliance. I showed four different management styles on the screen and had each supervisor choose a management style that suited him or her best with the audience response system. Again, so often, people incorrectly think everyone manages the same way they do. Stay with me now. Just a week ago, I attended an OSHA 500 “train the trainer” course (a course where students are expected to present an OSHA topic to the group and instructor). Just like the learning and managing style questions explained above, each training style for the people in this class was different. What does this data show? It shows what most safety professionals know, but have had no way to quantify—that we all learn differently. Each person is wired with their own SafetyDNA, which refers to the psychological factors that are consistently related to personal safety outcomes (e.g., incidents, injuries). These factors are made up of personality traits, values, abilities, and beliefs that all predict likelihood of injury, and each person has different levels and combinations of these characteristics. As a result, everyone has a unique SafetyDNA profile, making them more or less susceptible than others to the risks around them. The realization that your SafetyDNA is different than the people that train you, manage you and get trained by you is the first step in truly understanding this complex dynamic. It is the difference between teaching/learning safety concepts, and actually putting them into practice on a daily basis, at home and at work. . Being a safety professional with a college degree, a CSP (Certified Safety Professional), and a CMSP (Certified Mine Safety Professional) designation, combined with over 12 years of safety training and consultation, does not completely rewrite my SafetyDNA. I was once a night shift factory worker that took pride in the shortcuts taken to increase production at almost any cost. Even after carpal tunnel surgery on both wrists at the age of 27, I still thought some rules didn’t apply to me. Recently, at 40 years old, I took the SafetyDNA assessment to find out that I am a “Maverick”? In this assessment, a Maverick is defined as an individual who tends to be highly aware of their surroundings, but tends to take more risks and view rules simply as general guidelines. I questioned the results. It was only after my conversation with the folks at Select International that I realized the power of this assessment. If I truly looked at my daily actions at home, I realized the 27-year old me is still in there. I will spare you the details of the state my garage and home projects, but the fact remains my SafetyDNA is there. This was difficult to admit, but very powerful nonetheless. Training in and of itself will never be the cure-all. 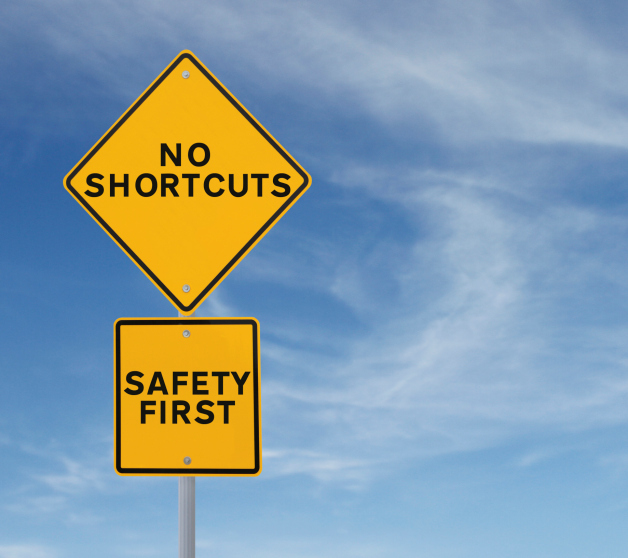 To build a safety culture we need to know where we are today, individually and as a team. Only then will we be able to start to change and move forward to where we need to be tomorrow.